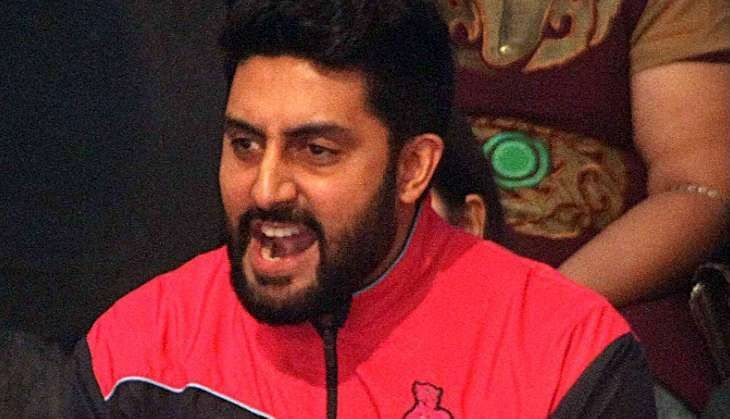 It doesn't matter whose child you are -- if you deliver a flop, filmmakers stop taking your calls, says Abhishek Bachchan, the son of Indian cinematic icon Amitabh Bachchan. Abhishek's career graph since his debut with Refugee in 2000 shows high and low points. If his performance in films like Guru, Dhoom, Bunty Aur Babli, Dostana and Bol Bachchan has been applauded, he has also earned his share of criticism for some of his choices. "I've completed 16 years in the industry and it has been a mix of highs and lows. There has been tremendous learning and I'm still hungry to do a lot more. It's been a great journey and it makes me happy and proud that I'm a part of this industry," Abhishek told a news agency. "The low phase that I went through, I think, was necessary. It teaches you a lot. I believe there is no success without failure. It keeps you grounded and makes you appreciate things," Abhishek said when asked about his time in the industry. He admits a flop doesn't leave one feeling good. "If we give a flop film, people stop taking our calls; then it does not matter whose kid you are. It's true that a flop is the worst feeling in the world and destroys you as a human being," added the 40-year-old. An ardent believer in the power of staying positive, Abhishek says, "If you want good things to happen in your life, you first have to believe good things are possible for yourself". "Every actor is very emotional and so am I. I feel it's important to learn to see the brighter side of life, and possess a sense of humour for that. My sense of humour has saved me many times when I have felt low," the actor added. "When you are low, you have to be very positive and think of the bright side. And I think I am a very positive person," said the husband of internationally known actress Aishwarya Rai, with whom he has a daughter, Aaradhya. Abhishek says he is not even affected by trolls on social media, who have often hit out at him for his movie choices. "If you are present on a social platform, you are available to everything on it and that's fair. It's all in jest and for fun. I just feel that once in a while, it's nice to give back to them some of their own medicine. And it's fun," he stated. However, he said, he stops interacting when trolls cross a line. "The minute they stop being witty about it and start getting abusive, there's no more fun and you stop. That's it, but I enjoy it," he added. Interestingly, social media has emerged as a platform where actors whole-heartedly appreciate their colleagues' work -- this, despite the competition in the film industry. "Definitely! There is no harm in appreciating good work. I believe in supporting and encouraging my peers. I think Tinselville is going past the cliched catfights and is coming together in support of each other on all platforms," he said.